This post features a book that was provided to me for review. 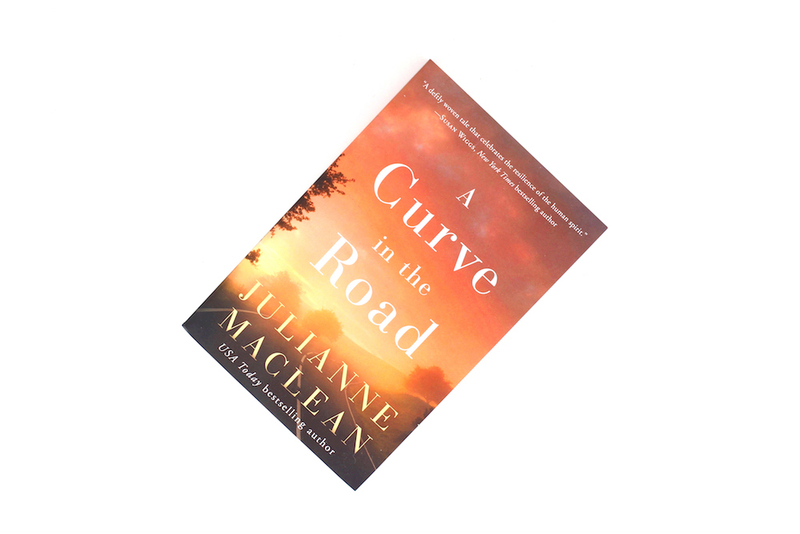 It’s not often, or basically ever, that I get to read a book set in the province where I live, so I was easily convinced to pick up A Curve in the Road by Julianne MacLean who lives in Nova Scotia and set her novel there. Abbie, a doctor, is in a car accident on her way to her son’s hockey game. She’s hit by a drunk driver, but miraculously survives, except the event will have life-altering consequences for her family and her career. Although A Curve in the Road starts off feeling like a thriller, the focus of the book is not the mystery–which, after the first dramatic twist, really quiets down–but rather the emotional experience of what Abbie is going through. It is a book about what you do with your life after everything you thought was true about yourself is no longer possible. I liked that Abbie was a doctor, but I did find her a little dull at times. That said, the story flowed nicely and I found the book very easy to read. As a dog lover, I also enjoyed the prominent role that Abbie’s dog, Winston, played in the novel. I was a little disappointed there wasn’t more tension in the last third of the A Curve in the Road, although there was a final “twist”, there had been enough groundwork laid for it, I didn’t find it shocking. That said, if you come into the book realizing it more about Abbie as a character rather than a mystery-thriller, I think the book would be better off. I really enjoyed the relationship between Abbie and her mother, I’m not sure the last time I’ve read a book that captured a mother-daughter dynamic that wasn’t toxic and didn’t include a teenager, and it was refreshing to read. I also really loved recognizing the landmarks and names in the story. Overall, if you’re looking for an emotional and captivating Canadian read, I definitely recommend checking out A Curve in the Road. I loved learning that there’s a highly successful author just down the road from me, and I’ll definitely have to pick up another book by MacLean in the future. 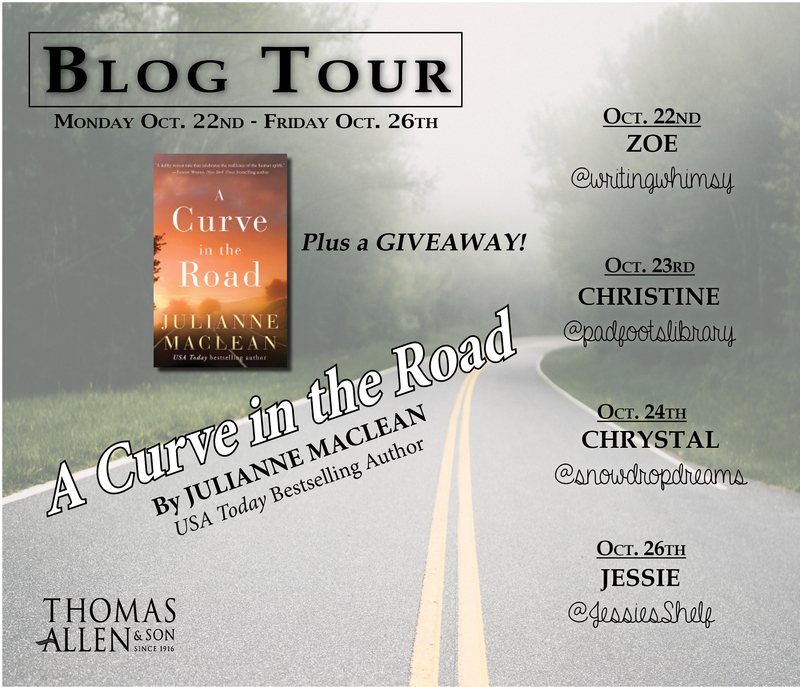 If you are hoping to check out A Curve in the Road make sure to add it on GoodReads and enter the blog tour-wide giveaway for one paperback copy of the book below. The giveaway will run from Monday Oct 22nd to Sunday Oct 28th at 11:59 pm EST (Canada only, exl. Quebec).